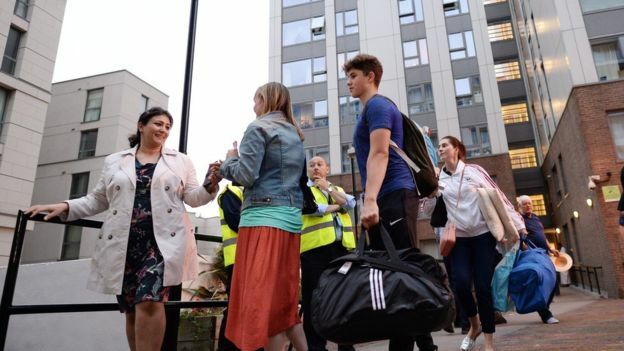 Residents who refused to leave north London tower blocks over fire safety fears are being told they "must leave". 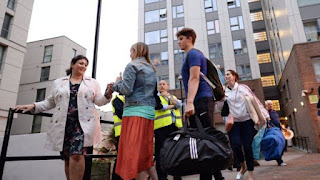 Camden Council said on Sunday that staff would continue asking those people who had not yet left the Chalcots Estate in Swiss Cottage to vacate their flats. About 20 households had refused to leave their homes by Saturday evening. Meanwhile, cladding on 34 tower blocks in 17 council areas in England has failed fire safety tests. The leader of Camden Council, Georgia Gould, said staff will conduct further door knocking ask anyone remaining to leave "and issue another letter reiterating to residents who are still remaining in the Taplow, Bray, Dorney and Burnham blocks, that they must leave". The government plans to examine cladding from up to 600 blocks and so far, every sample submitted from tower blocks has failed the tests.